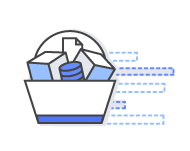 The AWS Navigate Program provides a prescriptive path for AWS Partner Network (APN) Partners to build a specialized AWS practice. Following the AWS Navigate Program provides APN Partners with the guidance to become AWS experts and deploy innovative solutions on behalf of AWS customers. In Phase 1, two (2) technical individuals must complete the Well-Architected Framework training. This training takes about two hours to complete. Click on the link below to start the training. In Phase 1, two (2) business contacts must complete the business training modules, and two (2) technical contacts must complete the technical training modules to advance to the second phase of the AWS Navigate Program. Click on the links below to start the trainings. In this course, you learn about the Cloud and the AWS Cloud. This course will also provide an overview of services including Amazon VPC, Amazon EC2, EBS, Amazon S3, AWS Database solutions, Amazon Aurora, Amazon RDS, and Amazon DynamoDB. You will also learn about fundamentals of pricing, free tier, pricing details, the TCO Calculator, and AWS support plans. In this course, you will learn fundamental cloud computing and AWS security concepts, including AWS access control and management, governance, logging, and encryption methods. This includes introductory courses to authentication and authorization with AWS Identity and Access Management (IAM) and the AWS Shared Responsibility Model. 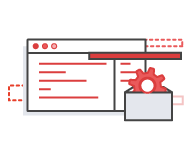 This course will cover how IAM helps you manage permissions to your AWS services. You will also learn the AWS and the customer share responsibility for security and compliance, and this course helps clarify the division of those responsibilities.